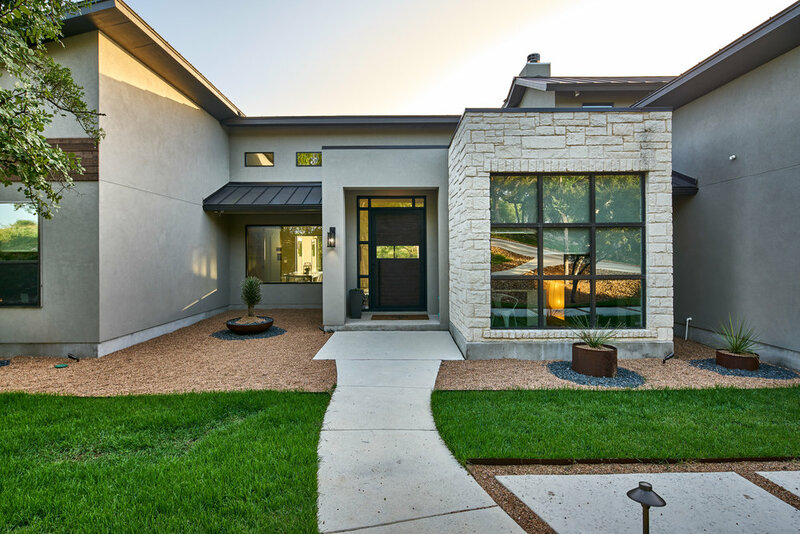 This modern New Braunfels home boasts 3889 sqft of luxurious and functional design thanks to Class, Covers & Color. The open floor plan in the kitchen and dining area is perfect for entertaining and opens up to an large patio and living space. The beautiful pairing of work from Bradley Signature Pools and Elite Irrigation creates an oasis right here in Central Texas.